She was the definition of White House style for too brief a time. And as a private citizen, we couldn't seem to get enough of her. Here is the inside, outside, upside and downside of our own American princess. 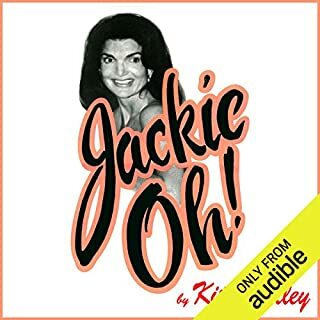 Tragic, heroic, private: the image of Jacqueline Kennedy Onassis remains the image of an American icon that will never lose its ability to charm and fascinate. From the moment of her ascension to the throne in 1952 at the age of twenty-five, Queen Elizabeth II has been the object of unparalleled scrutiny. But through the fog of glamour and gossip, how well do we really know the world’s most famous monarch? 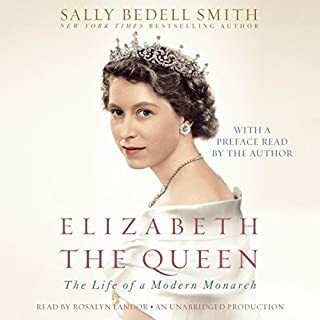 Drawing on numerous interviews and never-before-revealed documents, acclaimed biographer Sally Bedell Smith pulls back the curtain to show in intimate detail the public and private lives of Queen Elizabeth II. Andrew Morton tells the story of the feckless Edward VIII, later Duke of Windsor; his American wife, Wallis Simpson; the bizarre wartime Nazi plot to make him a puppet king after the invasion of Britain; and the attempted cover-up by Churchill, General Eisenhower, and King George VI of the duke's relations with Hitler. The best-selling author of Nancy Reagan and His Way exposes all the secrets of the most powerful political dynasty in American history. From Ohio to Connecticut to Texas and to Washington, D.C., Bush men and women have made millions of dollars, dominated the U.S. government, and created a legacy unlike any other family. Kelley spent more than four years investigating the royal family. In addition to meticulous research into documented sources, she conducted hundreds of exclusive interviews with past and present employees of the royal household, royal friends and relations, courtiers, members of Parliament, and other intimate observers, raising the curtain on this most secretive family. Here are lonely royal children brought up without a proper education in isolated and artificial surroundings, 20th-century adolescents with 19th-century touchstones. Here are the sexual ambiguities, the alcoholism, gambling, and womanizing that were common in the House of Windsor long before Prince Charles married Lady Diana Spencer. No one is spared; here are the scandals of the last decades: the doomed marriages, and the husbands, wives, lovers, and children caught in their wake and damaged beyond repair. Illuminating the Windsors' arrogance, naiveté , and lusts - as well as hard work, dedication, and ability to survive the most humiliating disclosures - The Royals is Kitty Kelley's richest, most iconoclastic, historically significant, and compelling work. ©1997 H.B. Productions, Inc. (P)2013 Audible, Inc. Most Americans know very little of the inside scoop on the current royal family. This book was a real eye-opener for me. She really knows how to wipe the polish off them and show them with all their flaws -- and there are many. About the only thing she did not say (maybe because it's obvious) is that their behavior has to be put into some kind of historical context. The nobility was never really expected to display exemplary character until the 20th century. Prior to that, they could be, and were, pretty beastly. The royal family and most of the noble families have not evolved because they've been swaddled in the cotton batting of privilege and wealth. You've got to cut them a little break for not changing their behavior and attitudes as rapidly as the rest of the world. But just a LITTLE break! It's high time for some changes. I love Kitty Kelley's work and this is about a far and truthful insight I believe you're going to get. Riveting from beginning to end, I found the only thing to irk me a bit was the narrator's occasional mispronunciation, (Al, as in the word pal, thorp. Diana Spencer's home of Althorp should have been pronounced All-throp). A slight oddity, I accept, but that's just how we pronounce it here. I found a few of these. 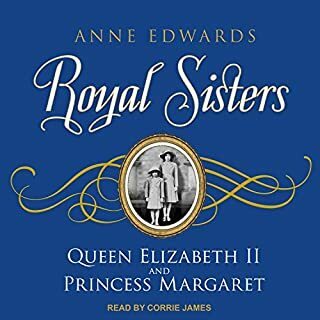 Apart from a few of these little slip ups in the narration - which would never have bothered the reader, only the audiobook listener - I loved The Royals and couldn't stop listening to it. I think though the exploits of the Duke have been underplayed, but, at the risk of making the story too much about him, I suppose the finished product is well rounded and very entertaining. What did you love best about The Royals? The insiders information. I didn't know that Prince Philip had so many trysts. The author's ability to bring history to life. I enjoyed hearing about Queen Elizabeth's family. Prince William and Prince Harry's upbringing was rather sad although brought up with many things, nothing can take the place of a loving family. I was disgusted by Princess Fergie's shenanigans. If you love Real Housewives and celebrity gossip, you will love this. While I personally believe about 75% of this as fact, Kelley definitely didher research from other interviews and reports spanning decades. I thought this biography to be well written and insightful. 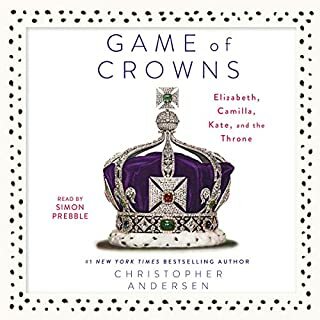 if you're interested in the British royal family, you'll find this paced nicely and informative without being plodding. It fills in a lot of gaps and explains the back story of the current royals and their foibles. of course, it was written before there was the Middleton family, so there's nothing more recent really than Prince Charles and Camila. the voice recording is good and pleasant to listen too. All in all a worthwhile story. Their lives would've been different if it were not for modern technology, paparazzi, etc. I've read about this royal family's ancestors who behaved the same but got away with so much because of the times they lived in...no cameras, no tv news, no radio, no cell phones or wiretapping. If you are a fan of Kitty Kelly, you will love this book! A little gossipy mixed in with truth. I suspect a lot of this is true, and if it is WOOOO! What a story! Keeps you enthralled and wanting more! You won’t regret THIS book (or audible) purchase!! I've read a few of Kelly's book and this is her best one. I'm surprised William and Harry have grown up to be as functional as they are. Their parents are/were dysfunctional to the 10th power. This book makes money by failing to show respect for the privacy of the monarchy and seems even go beyond this. I think there is a way to educate without making the reader being made to feel sorry for the subject of the book, due to the invasive airing of dirty laundry by the writer. interesting gossipy book. the class system in England is outdated and creates bizarre intolerable behavior. maybe the monarchy has reached its end. I've always enjoyed Kitty Kelley's writing - but please re-record this one with someone familiar with English names and pronunciations! Ms Van Dyck commits dozens of errors, many of which are painful - Althrop, Altrincham, Home (as in the PM), even Jacqueline (as in Kennedy) to mention just a few. It gets irritating really quickly. More accurate than the media drivel! I suspect Kitty Kelley received heavy criticism because her books reveal things that powerful people don't want revealed. 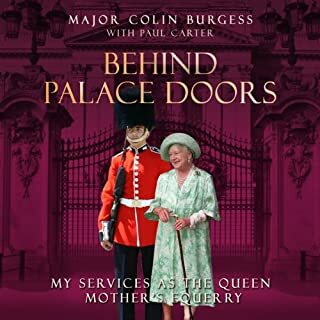 Her sources here are former servants, formal documents and people who have witnessed interactions between each of these royals and others at public events. When the book was published, it was trashed as fantasy and rubbish. Since then solid evidence has come to light that confirms much of what Kelley wrote, including the two Royal children who were 'stored' in a psychiatric hospital until they died recently, this because their Learning Disabilities were considered an embarrassment. This book is well written and narrated. 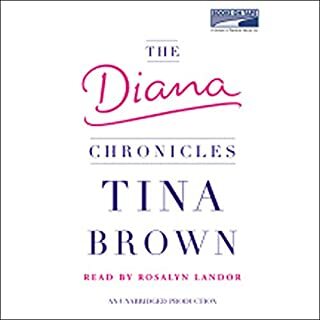 The narrator insists on calling Diana " the Princess of Wales ". - she was never called the Princess of Wales in the U.K. - she was Diana Princess of Wales or Princess Diana . The use of the word Monarchy split up into three vowels is so irritating - MON - ARCH -Y - why ? Every Duke is called DOOK . Apart from the narration the book is ok , not great but ok . If you could sum up The Royals in three words, what would they be? 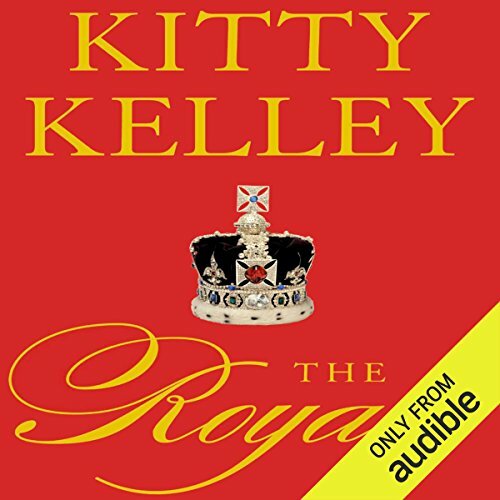 there are too many to list them all ..
Where does The Royals rank among all the audiobooks you’ve listened to so far? It was a shock to read just how much bowing and scraping went on.